If you are looking for Malaysia Tax Clearance Documents, you are on the right place. I am a OFW (Overseas Filipino Worker) here in Malaysia and I just recently switch company. I am under an agency and unfortunately most the agency here in Malaysia will give you a hard time before you quit from them. One of the important things that you need to process is the Tax Clearance. According to Malaysian law your current employer is allowed to hold your salary up to 3 months until you get a tax clearance from their Tax Office which is the LHDN (Lembaga Hasil Dalam Negeri Malaysia). On my end my employer held 1 1/5 months of my salary. And they provide me the required documents a week before my last working day, supposedly tax clearance should be processed from the day you inform them that you will not continue your contract or you will resign from your post. Because the normal tax clearance process will take 2 to 3 weeks time. It was very stressfull thinking of ways on how settle and get my tax clearance on time. 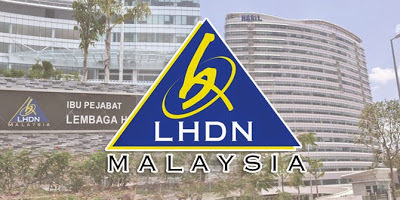 I called LHDN several times and from that I have learned that my previous company registered me in LHDN Wangsa Maju and I need to go there once I have the complete list of documents required for tax clearance. Most of the government offices here in Malaysia opens in an earlier time usually 7:30 to 5:30 and if you will process your tax clearance make sure to go there early in the morning just like what I did so that you don’t have to queue. And luckily I got my tax clearance in just 2 days. Yeah you read it right 2 days only not 2 weeks. Employees in Wangsa Maju are very kind, they helped me to fill up those documents in Bahasa (Malaysian Language) and they told to me that they will help me to get my tax clearance before my last day which they really did. 4. NR 51 (List of In/Out stamp in Malaysia on your passport) – This will be the basis of Tax Officer if they will calculate your tax as a resident.